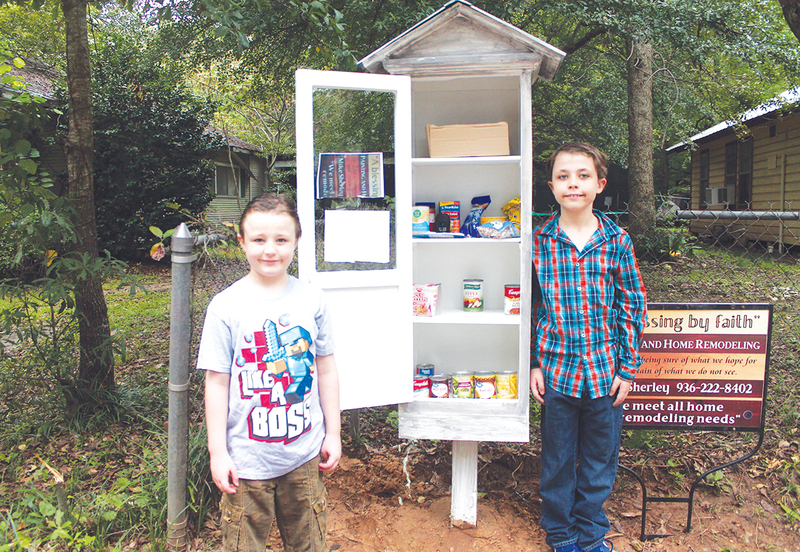 CROCKETT – When Crockett resident Mickey Fields shared a video with her sons – nine-year-old Keegan and seven-year-old Koleson – about a “blessing box” someone had assembled as a means of lending a helping hand to those in need, the boys were instantly excited by the idea. Koleson expressed an equal level of enthusiasm about the box. Determined to make the blessing box happen despite her limited building skills, Fields reached out to several contractors throughout the local area, including Mike Sherley of ‘A blessing by faith’ Painting and Home Remodeling. The box has been displayed outside of the family’s residence since Tuesday, Sept. 25 and has already amassed numerous donations. In its first week, the blessing box acquired donations of canned goods, other nonperishable food items and small toiletry items such as deodorant and razors. Monetary donations are welcome in addition to the aforementioned items, and Fields promised full transparency in that regard. “I’ll post all the receipts on Facebook so that people can see what was bought with the money,” she vowed. As homeschooled students, the boys frequently undertake service projects of this sort. The blessing box – formally named the 2 Brothers Blessing Box – is located at 706 Terrell Ave. in Crockett. For more information, join the 2 Brothers Blessing Box group on Facebook.